Architectural Design – Glenora Lumber offers a complete cross-section of profiles to accent your space. 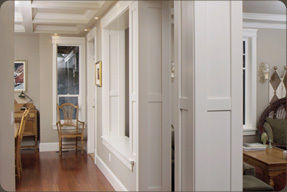 Casing, Baseboards, Pediments, Crown Moulding available in Pine, Oak, Poplar, Hemlock, Maple, Cedar and MDF species. One of the Finishing Accents that can truly define your space. *Mouldings are sold by the lineal foot and are supplied in random lengths (8’ to 14’ lengths). 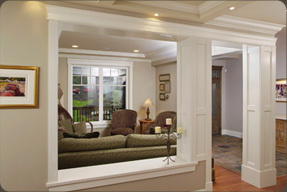 Custom moulding profiles and millwork are available by special order. So, come on down and talk to one of our Experienced Sales Staff today!